The Special Rescue Group - Saint Lazarus Corps has had a long tradition of working in amity with the United Grand Priories, even though it was affiliated with another 'Military' Lazarite organisation. The Special Rescue Group was founded on the 16 of June 1991.� The Group became affiliated with another 'Military' Lazarite organisation on the 19th November 2004. From this day onwards the group became known as the Special Rescue Group - St. Lazarus Corps. The Group is also a member of the International Green Cross Volunteers and a member of the Association of First Aiders. Volunteers both male and female, offering their services with the group are given the necessary training to do their job within the section they belong in various parts of the world. Members are expected to abide by the rules and regulations of the Special Rescue Group. After a number of high ranking defections of SRG officials to the United Grand Priories, the Special Rescue Group decided to join the United Grand Priories as a sister organisation. 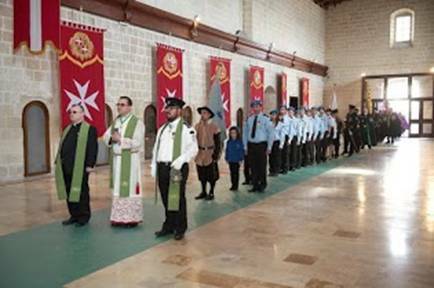 Since the biggest event in the year 2012 was scheduled to be the International Lazarite Symposium, held in Malta during the month of April, it was decreed that the joining of the Special Rescue Group - Saint Lazarus Corps with the Order would be executed during the solemn investiture held during the events of the International Symposium. Thus this international Lazarite organisation was consecrated in front of more than 800 delegates of the Order from all over the world and by the highest Grand Officers of the Order who were all congregated for the week in question. 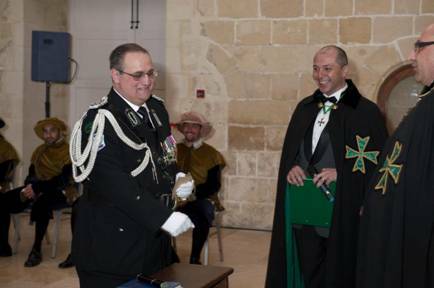 The Chevalier David Zammit KCLJ was confirmed as the Head of this Lazarite organisation. The Order congratulates the SRG and wishes them well for the committed Hospitaller and first aid operations planned for the future.